Open Source E-Cat in a Garage? I just found this in thecomment section of a BLP discussion on E-Catworld from the user “Justin Church”. I was looking for updates to the BLP demonstration and was pleasantly surprised to see you guys chattering about our work with catalytic combustion of hho aka oxyhydrogen gas. You seem to have a pretty good grasp on the process. Yes we are sending raw hho, no flame into a standard catalytic converter of a car and seem to be obtaining a substantial amount of heat. 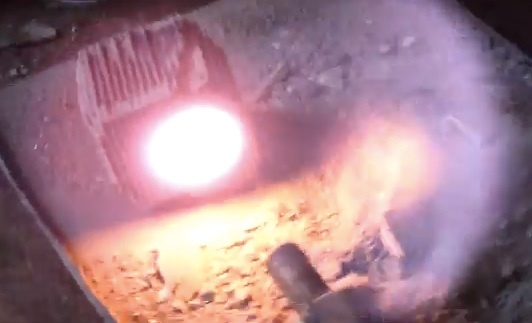 A lot more heat than using an hho flame pointed at a piece of metal. We have found many similarities in this process and the so called “E-Cat” device. The heat effect works on the same principle. If you study cold fusion or LENR you will understand they are loading hydrogen into a catalyst metal structure inside the core of a reactor and obtaining an excess heat effect as the hydrogen fuses into the metal lattice to release helium or fuse with the atomic structure of the metal to trans mutate it to another, in Rossi’s case, Nickel is claimed to transmutate to Copper which releases the excess thermal energy. Blacklight Power also use HHO plasma in their reactor and the plasma bursts create electrical energy instead of heat. It is very possible people like Andrea Rossi used a catalytic converter in the beginning stages of the research to get to the point he is now. I am working on sealing up and insulating the cat over the course of the next week or two to get some baseline numbers for everyone. For the most part people have been very positive and excited but we are seeing a lot of “We Want Measurements” from the community as well. Most of these people are what I call the “Peanut Gallery” and have never built anything their-self. They don’t care about the engineering of the device and the usefulness of it unless they are spoon fed numbers. It is a very simple process to test out. 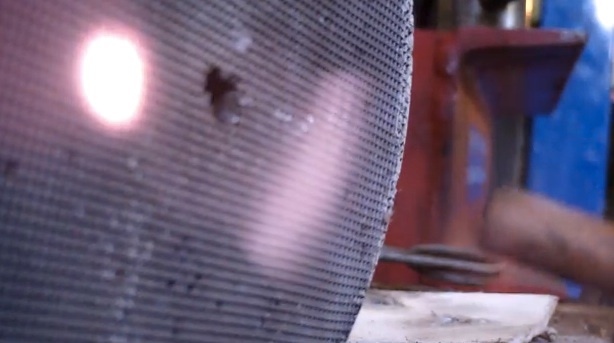 Buy or build a small hho generator, inject gas into a catalytic converter, watch it heat up. The information has been out for almost a month now and there have been only about 3 or 4 of us that have actually experimented with it. We are looking for others to join in, we can not do it alone. I am working just as hard as I can to get the cat ready to go up against a standard resistive heater of the same wattage but I have to finalize the design. If we get it right, we can easily build a highly efficent forced air heater or boiler using off the shelf parts. We don’t have to wait for Rossi or others in the Cold Fusion arena to put the technology on the market. Garage Engineers are much better at taking the technology and putting it to use than some of the Corporate boys that haven’t made it out of the lab yet and their reactors are sitting in the corner with more probes on it than a hospital patient. We want to make sure everyone around the globe has the opportunity to explore the same phenomena that most of us can only read about. I just love it! Regardless of this beeing real or not, this is the way to go. Amazing! I will follow their progress closely from now on. There is an ongoing discussion here at the H-Cat forum. The Killer App of LENR! 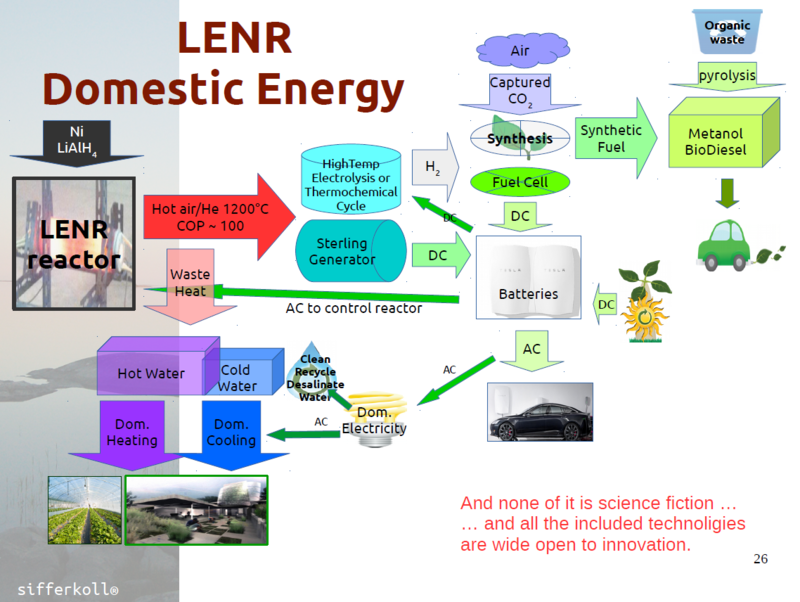 Lets be a bit speculative and focus for a second on what would be the absolute killer app of LENR? I guess a Rossi style heater is a really good choice. I want one for heating my house. And eventually we will be able to connect it to a generator of sorts to get electricity and then we could also charge the batteries for an EV, etc. Continuous generation of hydrogen above levels predicted by Faraday’s law is observed when temperature, current density, input voltage and electrode surface meet certain conditions. Although only a few observations of excess hydrogen gas production have been made, production is sometimes 80 times higher than normal Faradic electrolysis gas production. You can also search the great number of verified LENR experiments producing excess heat from electrolysis, often using high voltage plasma discharge. Obviously (see Mizuno) they sometimes produce excess hydrogen as well. Although there are few reports. So. 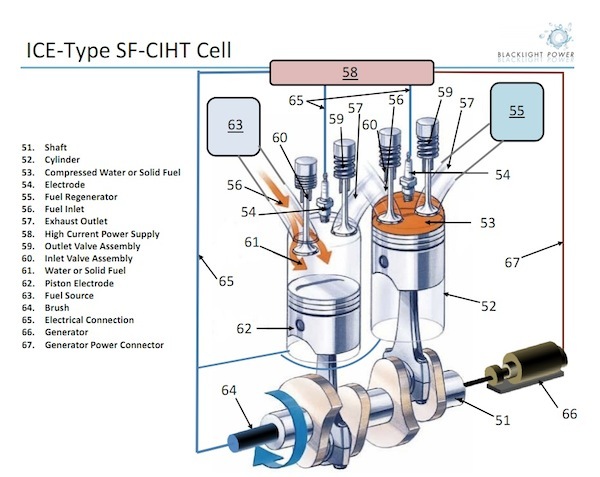 Thinking intuitively; if it is possible to produce a large amount of excess hydrogen from plasma electrolysis in the way Mizuno describes, it could be possible to engineer a device that do this on demand in a combustion engine. Making hydrogen from water and ignite in one go, like a sparkplug!!! Much like the Stan Meyer water fuel car. Why is it so important for Popular Science to Discredit Rossi? That they resort to obvious lies? Why do a reasonably respectable (science?) magazine (for some anyway) feel that they need to enter into personal accusations, and lie, to achieve their goals? Why do they feel that they have to use such value driven language in articles about the E-Cat? The words “dubious”, “notorious”, “spurious inventions”, etc. only have one purpose. And it is the induce doubt in their readers. Why? I can understand that the fact-driven traditional physicists have a problem with Rossi and the E-cat, sine he and it represents their biggest personal fears. But Popular Science? A simple magazine? I guess we need to look at the editors, their careers, their invested pride and their personal agendas to be able to analyze the situation? They would probably much rather bring the magazine down, than admit their faults. This is a major step forward. It seems to me that all information implies that the E-cat is very real. I has been sufficiently validated by Levi, Essén & Co and Darden/Vaughn of Cherokee Fund/IH has obviously agreed to this and according to earlier information even built an E-cat of their own independent from Rossi. That works. So the middle ground is gone. If you’re an pseudosceptic or have an “agenda”, you will have to start discredit Cherokee, not only Rossi and all the people that have met him and seen the E-cat in action (numbers adding up here). This is actually the kind of news that could make it to the mainstream media. It’s a serious press release and it’s quoted on MarketWatch/WallStreetJournal, which might create an interest in the world of finance. It will be interesting to follow. The genie might be out of the bottle! Being somewhat involved in leadership education and methods I recently had some kind of an insight. A well known tool for learning how the manage and recruit the right personality to the right position is the Jung Typology and MBTI test. You know, if you’re an ENTP profile your the typical “inventor” and if you’re the ISTJ you’re the typical “inspector”. And right here, we have the conflict of pro and con LENR in a super-simplified psychological profile… In common they have an extrovert “T”, which means that this is what they both show to the outer world. They both prefer to be seen as “thinkers”. But apart from that, they are completely different. The Inventor uses “N” (iNtuition) as the main method of gathering and interpreting information about the world, while the Inspector uses “S” (Senses/facts) to do the same thing. Actually for an Inspector the facts are even more important than thinking since, being introvert, it’s their dominant function, thinking is just a tool to manage the FACTS. Have a look at these statements to know what I’m talking about and maybe determine your preference. It’s really quite obvious. Unfortunately I believe that the research community, maybe especially in physics, is overcrowded with the “S” types. And they tend to recruit other “S” types, that will continue to analyse already known facts, or maybe make tiny advancements in really specialized fields. This is the way they want it. They feel safe. What will happen? Well the Inspector will fall into pure weakness, because new things are dangerous to them. And they will show feelings instead of thinking. However they are not especially good at this so they start defending and attacking, using poor value driven arguments like fraud, incompetence and personal accusations. They easily fall into pseudoskepticism. This also explains why it is fruitless to argue back using logic and quantitative reasoning. They are not listening anymore, because they are in denial. They would rather like to kill than agree on anything that threatens their world view. The only way to handle the “S” types is for the “N” types to keep working on their own. The “S”-types will not be of much help at present, but eventually the data from more experiments will convince some of them, and then finally, all of them from pure group pressure. Time is also an important factor. They need to withdraw, analyse the experiments and figure out how the new data can be incorporated in their old world view without to much change. And eventually they will come up with the theory that explains it all, and it can be considered a fact. And then, they will feel safe again. The Fool Proof LENR Trade ?!? 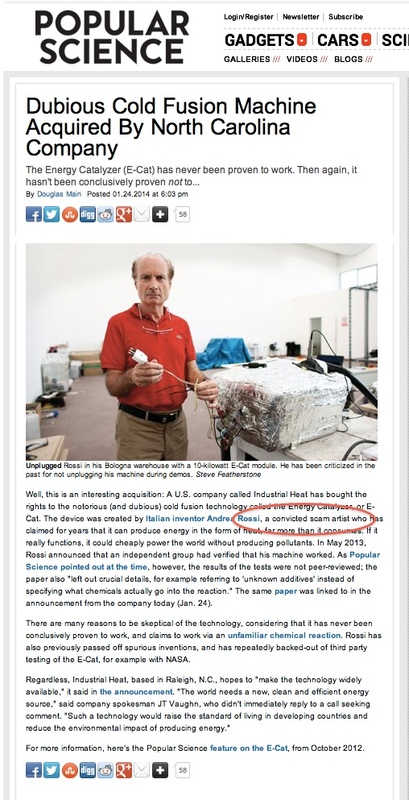 So you believe in a LENR future? Well, I certainly do! So how can this belief be profitable? There are not any LENR stocks to buy yet. And anyhow, if there were, those would be very risky, since the first one to enter the market might not be a winner. 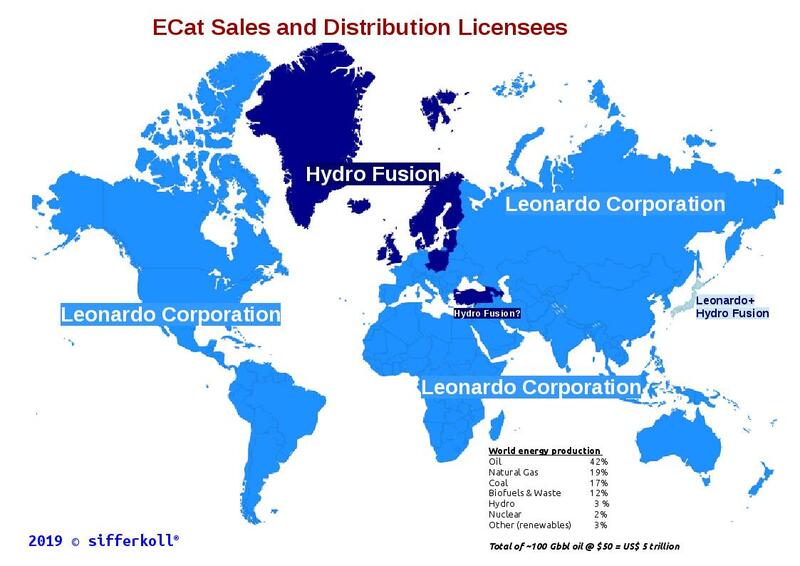 Today the LENR companies are entering the VC sphere (Ecat/Rossi through Industrial Heat/Cherokee Fund and Brillouin through Sunrise Securities) and are somewhat hard to invest in for us outsiders. LENR is a true market black swan. Everything will change when energy start moving from being a scarce resource to abundant and much cheaper. It will affect the cost of almost everything except for labour and real estate maybe. A truck load of new applications will arrive and tons of new companies will be formed. 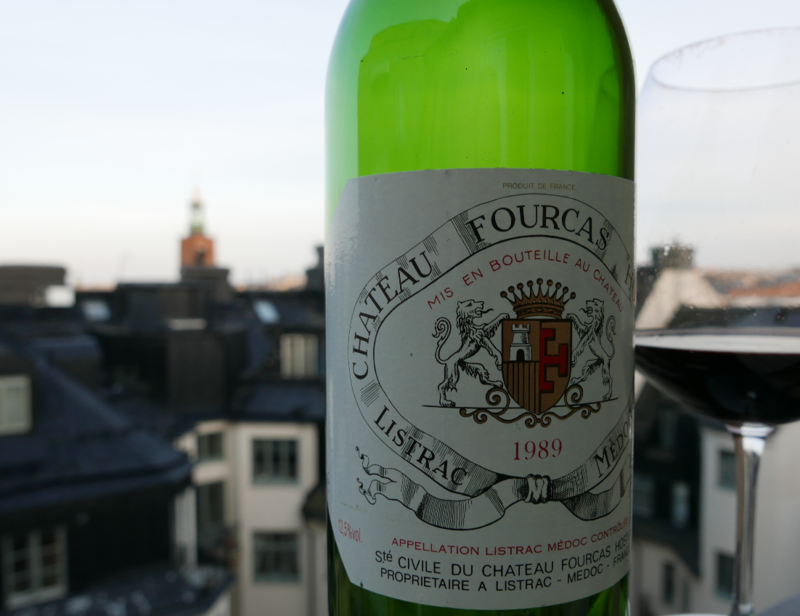 Think of it as the Internet boom in 1999 and multiply by X … Stockmarket will go through the roof. We will have hyperdeflation (in a good way) because everything is getting cheaper. The whole world will benefit. Except for maybe the oil companies (they already know, as you know, if you read my posts) and their owners (mostly pension and mutual funds, i.e. ordinary people), and much worse, some countries that are terribly dependent on the oil/natural gas prices, like Russia, Saudi Arabia, Iran, Venezuela and Norway. The politicians of these countries need to get another job… (you might include US here as well, but that is more about -who has the power- than dependency per se). Anyhow, it might not be pretty. As for Big Oil, I believe they are already planning to cash in. And probably will be loaded with cash and prepared when the hit comes. So with stocks going up (focus on mid and small cap, since most large cap is heavily invested in todays energy scarce world), and oil price going down, the natural trade is going long Russell 2000 and short oil. This can be done with a simple spread trade (IWM/USO). 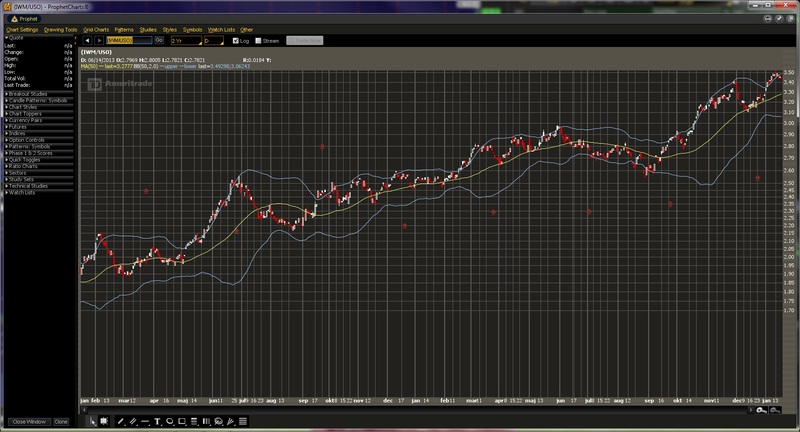 As you can see below the spread has been in a magnificent trend for the last two years gaining some 86% only touching the lower Bollinger band (2std down on a 50 SMA) very briefly last july and september. I see no reasons for this trend to end anywhere in the future in the face of LENR since the only reason for it to do so would be stock market crash combined with a peak oil dystopia… But that is not the reason for us to be here, is it?